Document Management and Document Imaging systems require document scanners to scan paper documents and save them as images. Scanner manufacturers include Fujitsu, Kodak, Canon, Panasonic, Epson and Xerox. We supply document scanners for Document Management and Document Imaging systems to scan paper documents and save them as images. 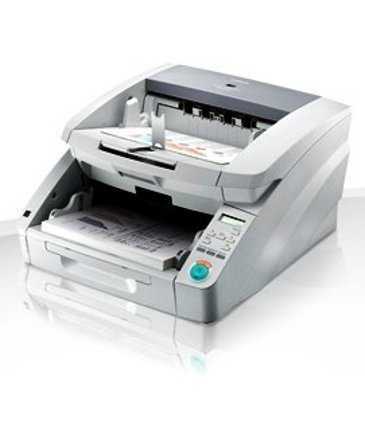 We supply scanners from Fujitsu, Kodak, Canon, Panasonic, Epson, Xerox and other manufacturers. Flatbed or ADF (Sheetfeed) scanner? A Flatbed Scanner allows you to position a document on the glass and scan it. This provides the flexibility to scan damaged or fragile documents, books or stapled documents but is a relatively slow method of scanning. A Sheet-feeder (or Automatic Document Feed) allows a pile of documents to be scanned, though all must be in good condition and unstapled. Some scanners offer both Flatbed and Sheetfeed (or Automatic Document Feeds). Sheetfeed-only scanners are typically faster and less expensive than dual purpose scanners. Black and White scanning is suitable for most Document Imaging. There is usually little point in scanning, say, Invoices or Letters in colour. In many cases Drawings and Photographs are better scanned in Greyscale (that is in various shades of grey) rather than Black and White. More and more there is a requirement to scan in colour. Colour leaflets and photographs can be accurately reproduced with a colour scanner. You should identify your requirements and select a suitable scanner. Most scanners will scan in colour, greyscale or monochrome (black and white) but some (particularly high speed scanners) may not be capable of colour scanning. Duplex scanning is the ability to scan both sides of a sheet of paper at the same time. The requirement for this feature is entirely dependent upon the type of documents you wish to scan. Simplex scanners scan only one side of a sheet. A4 or A3 or larger ? 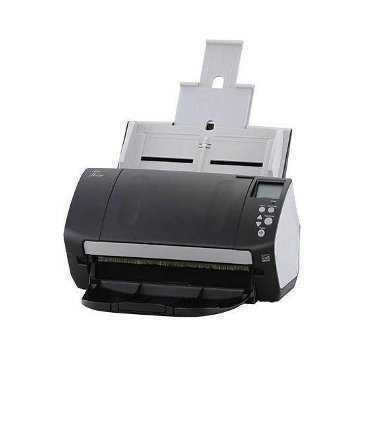 Most document scanners scan A4 (or Letter) sized documents. Optionally A3 scanners may be preferred (these will also scan A4 of course). Larger formats such as A0 size are also available. 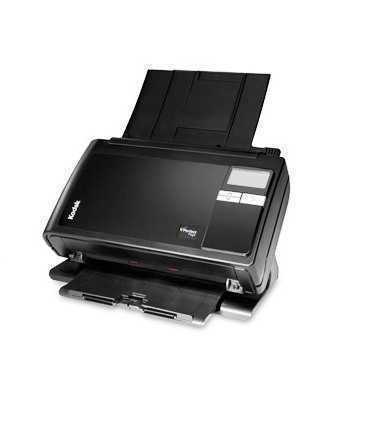 Document Imaging scanners are available in a range of scan speeds. 10-15 pages per minute is usually the minimum acceptable speed. Desktop or workgroup scanners typically scan at 20-45 pages per minute, mid-range or departmental scanners at over 50 pages per minute whilst production or high-volume scanners scan at over 70 pages per minute. Scan speeds are available at up to 120 pages per minute. Duplex Scanners (see above) can scan both sides of a page at the same time resulting in higher scan speeds (when measured in images per minute rather than pages per minute). Note that most manufacturers quote scan speeds when scanning at 200dpi (and in A4 even if the scanner can scan A3 sizes), higher resolutions will result in lower speeds. Not to be confused with scan speed, throughput measures how many pages a scanner can scan in a day. A heavy-duty scanner will have a higher throughput than a light-duty scanner even if their scan speeds are identical. For example, Kodak's i1320 and i1420 scanners both scan at 60 pages per minute but the i1320 is rated at 1,500 pages per day whilst the i1420 can scan 7,500 pages per day. Scanners allow a choice of resolution. Typically the higher the resolution the better the quality of the scan but the storage requirement will also be more. Resolution is measured in dots-per-inch (dpi). We normally recommend scanning monochrome documents at 200dpi or preferably 300 dpi. If you also wish to OCR (see below) a document 300dpi is usually required. There is normally no advantage in scanning in a document at a higher resolution than it was originally printed. If a letter was printed on a laser printer at 300dpi scanning at more than 300dpi will not improve it. Note that scanners achieve a given resolution in two possible ways - either by scanning optically at that resolution or by scanning at a lower optical resolution and then digitally enhancing the scan. A scanner with a high optical resolution will give better results than a scanner that relies on digital enhancement (but such scanners are usually more expensive). Personal, Workgroup or Production Scanners ? The strategy for scanning will depend upon your particular requirements. You may provide individual users with their own (usually small and low-speed) scanners, you may provide a workgroup or department with a shared (usually mid-range) scanner or you may have a dedicated scanning facility (using high speed production scanners). A scanned image is rather like a photograph or photocopy. You cannot electronically 'read' or edit the text on it. Optical Character Recognition gives you this facility. OCR will convert any text it finds on an image into electronically readable text. This text may then be edited (by Word Processing software, for example) or may be stored with the scanned image to enable searching for a given word or phrase. A scanned image when saved to disk (either directly or via software such as document management or imaging) will be saved in a particular format. It is important to ensure that the format chosen is suitable for your requirements, and that the scanner can save into that format. The two most common formats for document imaging are TIFF and PDF (Acrobat). TIFF is the most widely used for most Imaging applications but PDF can often be better if images need to be viewed by external users (via the internet or e-mail, for example). Not all scanners can save in PDF format however. PDF/A is a version of PDF used for archiving. Other formats include JPEG (often used for colour photographs) and Bitmap. TWAIN is an industry-standard method of allowing software to communicate with a scanner. A software package (such as Alliance Imager) can drive a scanner using TWAIN. The physical connection of a scanner to a PC will typically be via a USB or SCSI connection, though connection to a network (10/100 Ethernet) is also possible with some models. Imaging for Windows uses TWAIN scanning drivers. An alternative method for a software package (such as Alliance BatchScan scanning) to drive a scanner is to use a Kofax Adrenaline interface card. This provides a physical connection of scanner to PC and also the driver software. Kofax is especially suitable for high speed scanners. An enhancement to Kofax is Virtual ReScan scanning enhancement. Virtual ReScan (VRS) enables you to get perfect scans every time. As quickly as images pass through the scanner, VRS performs a multi-point inspection of each document. It instantly checks and corrects for alignment (skew), brightness, contrast, and image clarity, so that only the best images are moved into your application. Note that not all scanners can support Kofax. Scanned documents need to be "indexed" - that is given some data to make them unique and identifiable to the system they are to be used in. This may be simply giving a name to the created file, or may involve adding more metadata (such as name, date, account number, etc) depending upon the requirements of the system.